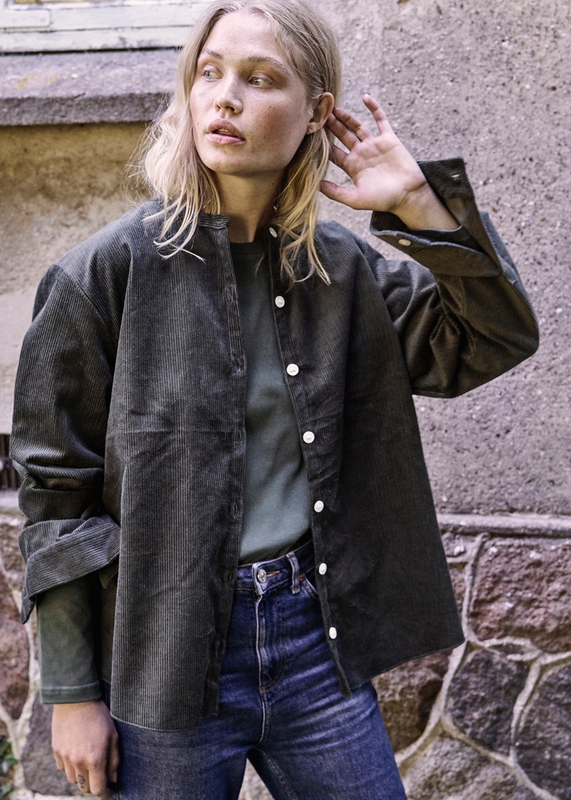 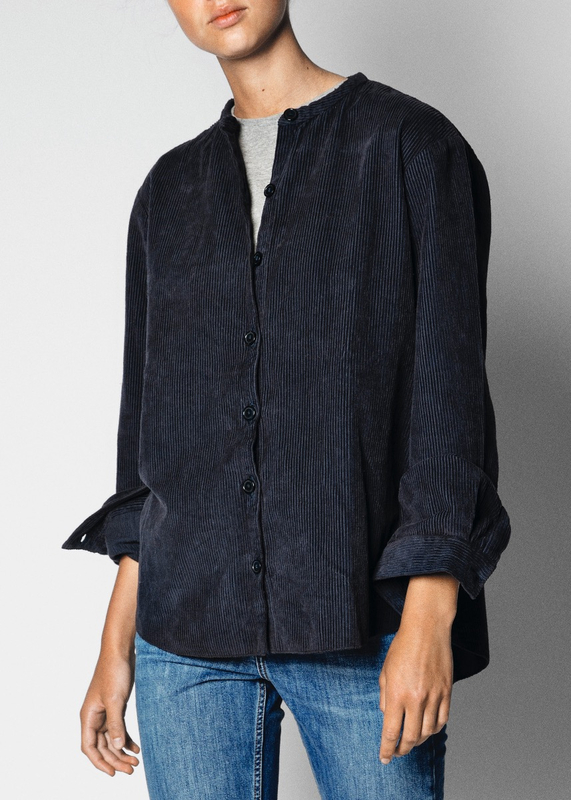 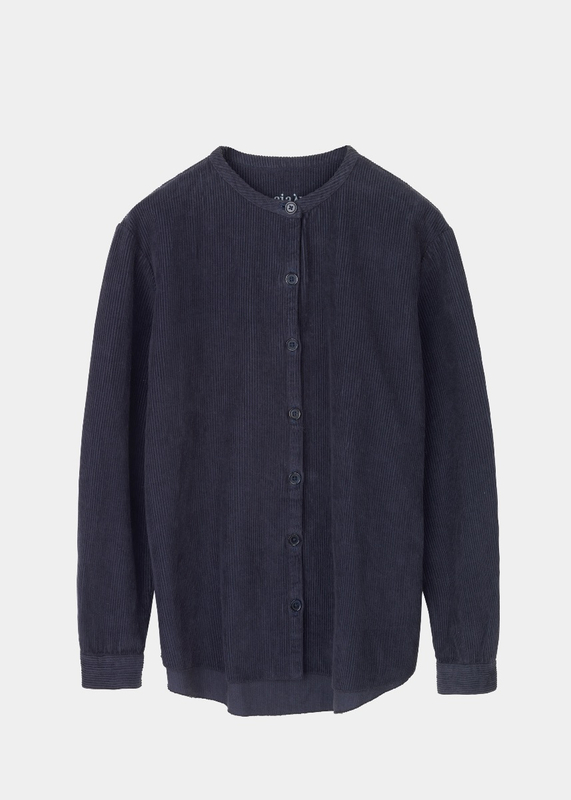 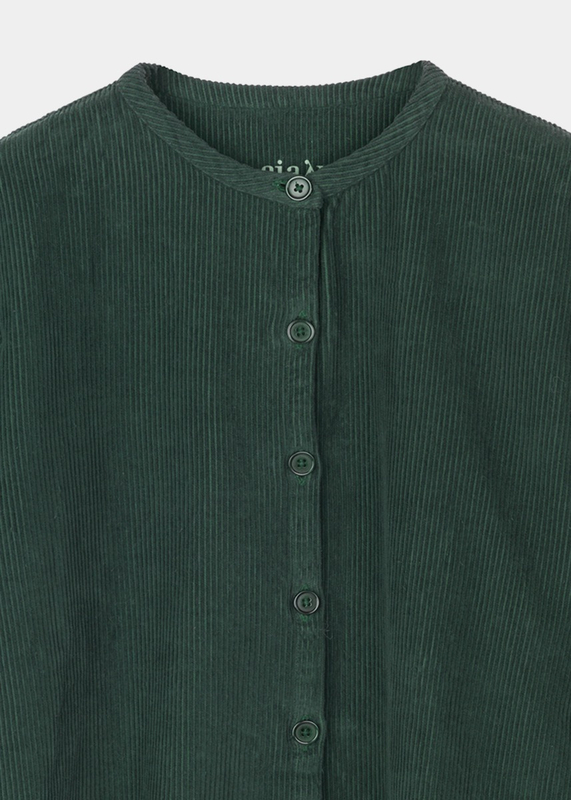 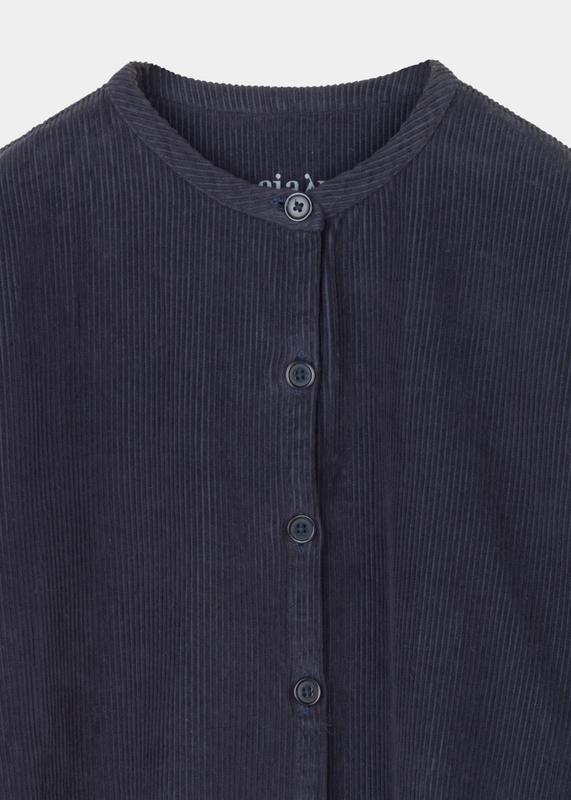 MAO SHIRT in classic corduroy is a soft and warm style in a slightly heavier cotton quality, with a brushed feel and ribbed structure. 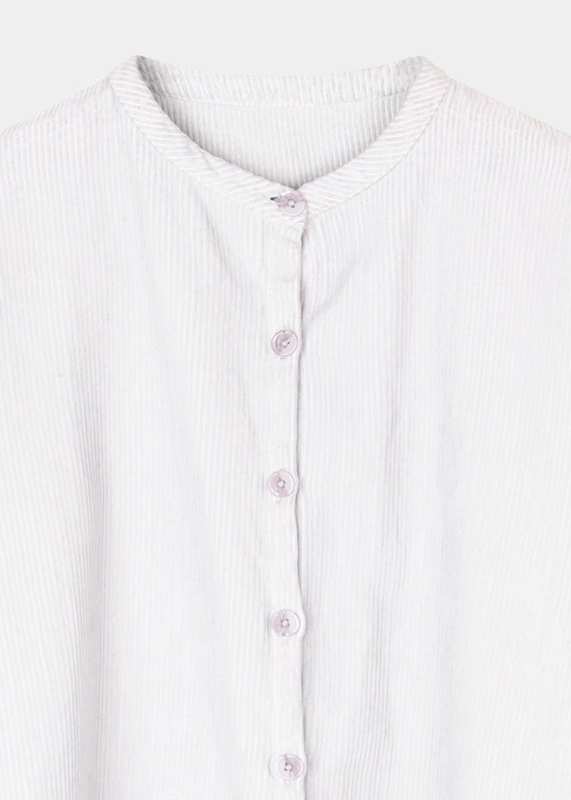 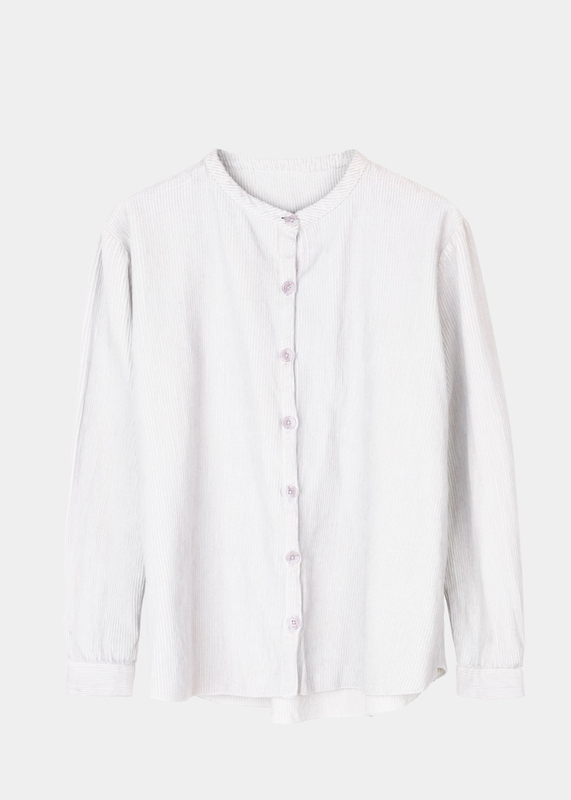 Casual every day shirt with a round mao collar and full button opening in the front. 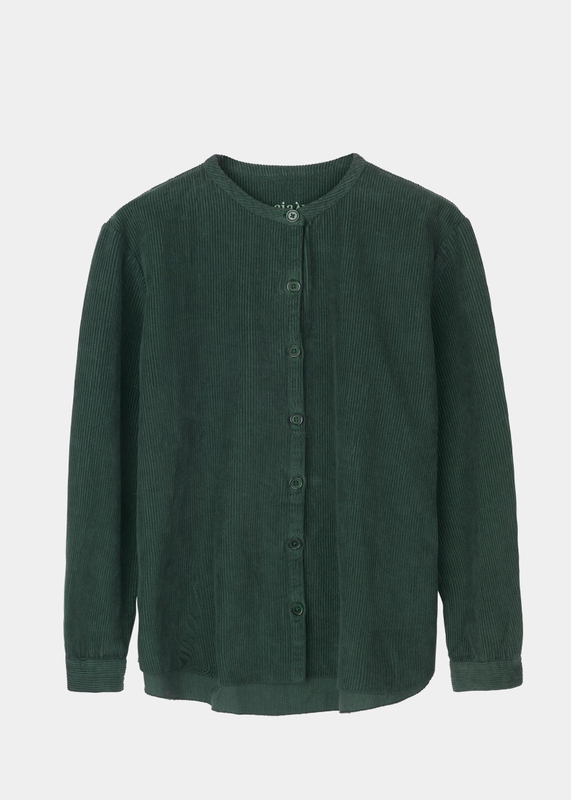 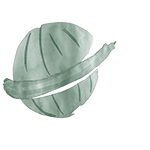 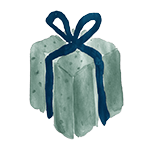 The shirt can easily be used as a light jacket or cardigan, due to the heaviness of the corduroy fabric. 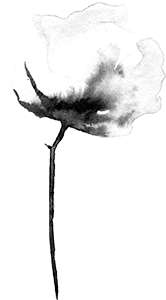 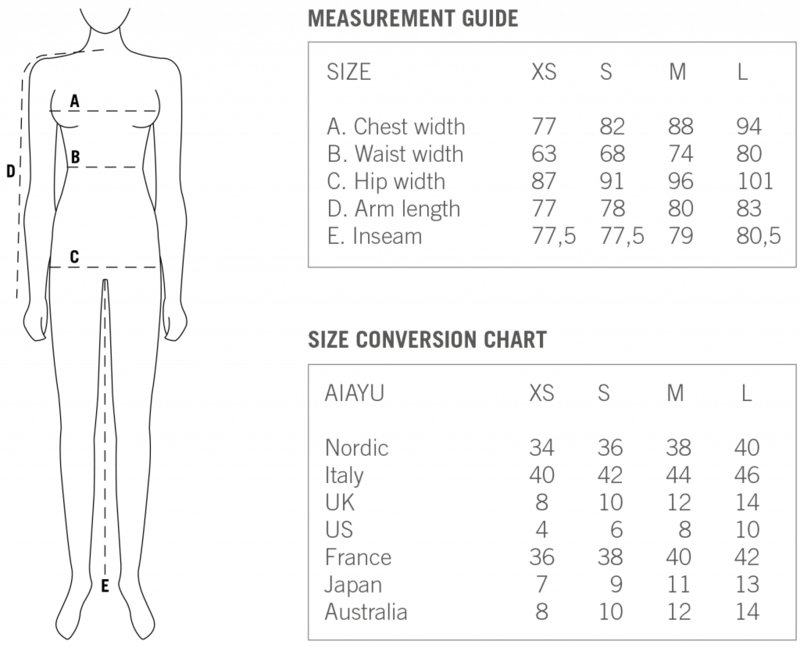 The MAO shirt is designed to have a loose fit, but we advise you to size down, if you are in doubt.